Two of America’s most favorite consumables are beef and cannabis. 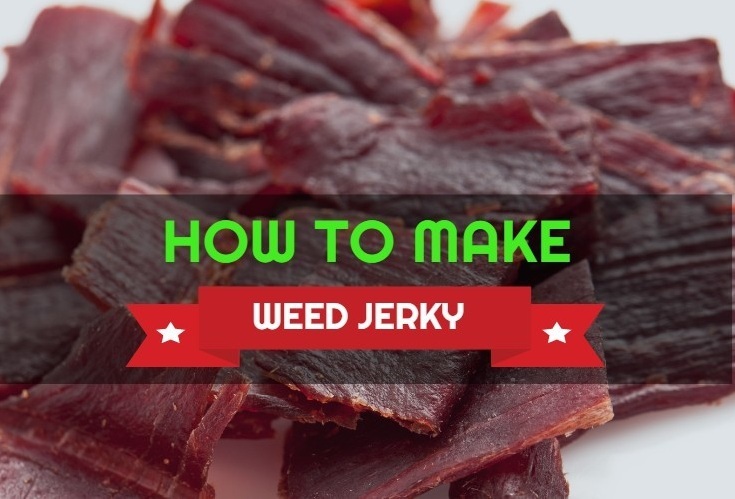 And weed jerky is an easy recipe to make that is for some reason not as well-known as cannabis cookies, weed brownies or marijuana muffins. The good news is that practically all of your favorite recipes can be made into a THC infused dish quite easily. 1/8 of weed broken up. Shred the steak and remove all bones. Place the weed, pepper, steak and salt inside the ziplock bag and shake it well. Place the bag inside the dehydrator for 6-24 hours depending on how you like your jerky. The longer the steak is in the dehydrator, the harder the jerky will be. You can vary the ingredients a much as you want and the process will remain the same depending on how you like your beef. You can mix it up with some medicated coconut oil, cannabis olive oil, teriyaki sauce, even herbs. There are an infinite number of thing you can add to make your favorite jerky. Sometimes this may mean that the ingredients will have to be in the dehydrator for longer to make weed jerky.